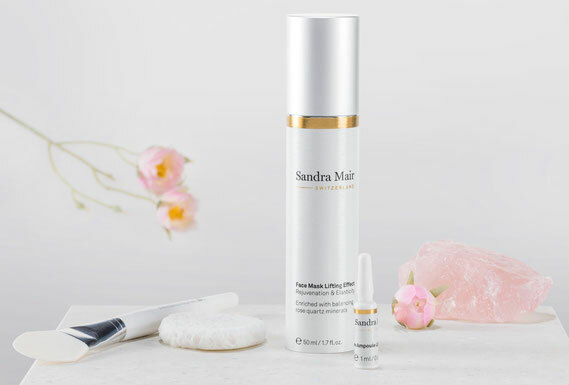 Facial care plan - sandra-mairs Webseite! Depending on skin´s individual needs (wintertime, stress…) it is possible to us the Skin Care LIGHT, MEDIUM or NUTRITIOUS. 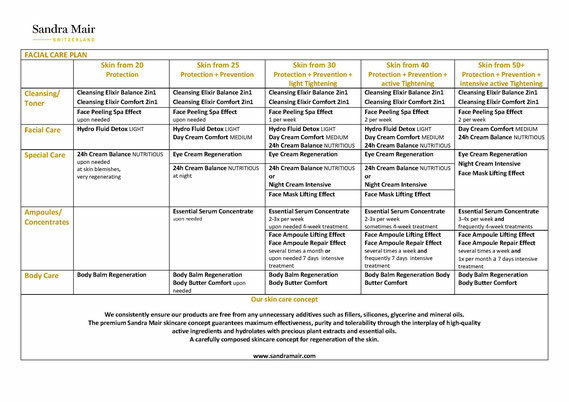 For the night care it is possible to use the 24h CREAM BALANCE or the NIGHT CREAM INTENSIVE. The NIGHT CREAM INTENSIVE is even more intensive and nourishing for the skin’s regeneration phase. The 2 in 1 CLEANSING ELIXIRS prepare the skin optimally for the following treatments by cleaning and toning the skin. After cleansing, tap face only gently dry to use the remaining moisture for a better absorption of the following skin care. Depending on current skin care needs, the ESSENTIAL SERUM CONCENTRATE can also be used daily as four-week treatment. It raises the moisture level, improves the skin´s elasticity and smoothes out small wrinkles.